If you have been waiting for that pivotal 21st Birthday, here is the way to Toast With A 21st Birthday India Pale Lager. 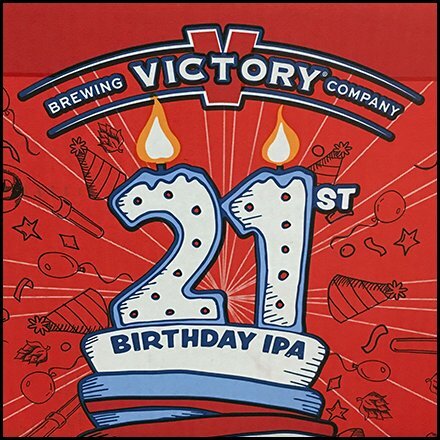 And it will be a dual celebration because the India Pale Lager also celebrates the 21st Year of Victory Brewing Company. The carton promises “exiting flavors will be the life of the party” with the packaging signed by Brewmaster Bill Ron. A full social media schedule supports including Facebook, Twitter, Instagram, YouTube and one icon new to me. See this celebratory packaging in the Toast With A 21st Birthday India Pale Lager gallery of images. Seen at Wegmans.